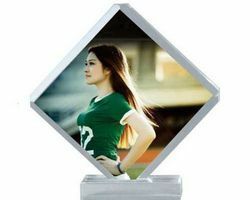 We are a leading Wholesaler of square glossy stones frames, heart shape stone glossy photo frame, stone photo frame, designer acrylic keychains, donald duck photo frame and love frames from New Delhi, India. Banking on our rich experience and knowledge base, we are wholesaling and importing Square Glossy Stones. The offered square glossy stones are resistant to wear and tear owing to the use of high-grade materials for making. This frame is dimensionally precise, compact in size, occupies less space and is resistant to spoilage by dust. It is durable and stylish in terms of design as well. We are among the reputed names in the industry for wholesaling and importing Heart Shape Stone Glossy for our valued customers. The offered heart shape stone glossy is used as a decorative piece and occupies less space. It is durable, resistant to scratches and light in weight. Being stylish in terms of design and easy to clean, it is extensively demanded by our clients. 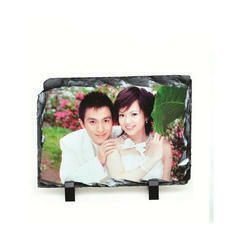 We have set a benchmark in the industry for wholesaling Stone Photo Frame. 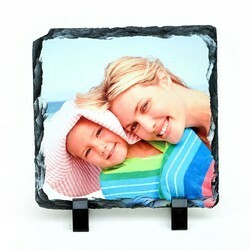 The offered photo frame is used for displaying photographs and is regarded for its smooth edges and durability. 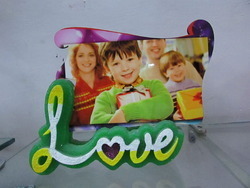 This photo frame is stylish in terms of design, resistant to scratches and occupies less space. It is available in a wide range of designs. 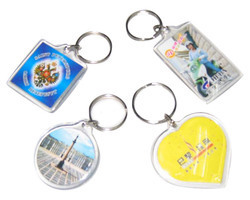 Made available to clients at the best rate possible, the offered Designer Acrylic Keychains are amongst the finest that are available in the market. Manufacturing of these products is done by reputed vendors, as per the industry set norms, utilizing the finest raw materials. Owing to this, its finish, quality, resistance to moisture and durability are highly commendable in nature. 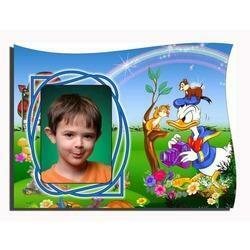 Looking for Acylic Photo Frame ?